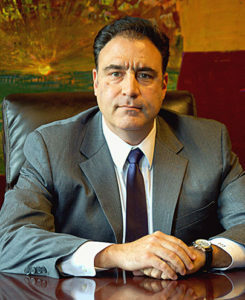 John LaMantia has over 20 years of significant experience as a trial attorney in personal injury law. A native Chicagoan, Mr. LaMantia has represented individuals in transportation injury cases, medical negligence, wrongful death, premise liability, nursing home negligence, products liability, civil rights matters, and construction and work injury throughout the State of Illinois. With several years also on the defense side of litigation representing public governmental bodies and insurers of transportation and construction companies, Mr. LaMantia has comprehensive experience, trial results, and seasoned understanding of the defense’s strategies. He brings this experience to the Dinizulu Law Group as he helps his clients obtain the best outcomes. As the Senior Managing Trial Attorney at Dinizulu Law Group, Ltd., John is dedicated to continuing the firm’s reputation for tough litigation and personalized service to its clients. In addition to his extensive litigation experience, Mr. LaMantia has taught, presented lectures, and published in the areas of personal injury, civil rights and government law. He is involved in youth mentorship and coaching and has received several awards for his service to the community. John is very proud of his four children and is also an accomplished musician and song writer.